It’s lobbing it down this morning and I opt to leave my trusty steed at home. e.g. I wimp out of cycling. That’s not going to look good on the training schedule and an horrifically hour long wait for a bus home from Derby actually makes me wish I had cycled in the rain. In fact I'd rather be at home chucking balls than stuck here. L tries to console me by offering me Jennifer Lawrence for the night. 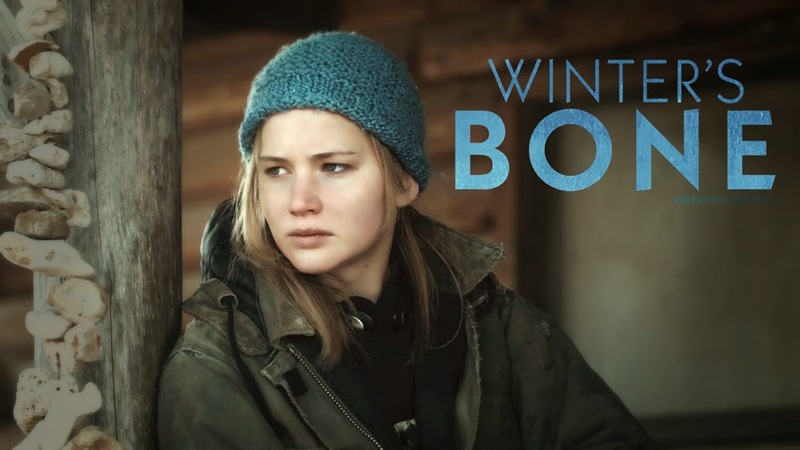 We have Winter's Bone to watch. She says the book is nice and depressing, so it should be right up my street. Then she forwards me a lengthy email exchange between her and Daughter. It finishes with the words ‘I’ve printed off a sodding training plan’. Blimey, L’s offered to enter her in the Manchester 10k as a 'treat'. She’s also told her it’ll take her an hour. Wow. Nothing like setting the bar high. Way to go girls. Winter's Bone is depressing, very atmospheric and requires your undivided attention, so we shouldn’t really have been munching our way through a meal as we watched it. Winter’s Bone is also accompanied by a large dose of Dog’s Rubber Bone, as is most things we try and watch on TV. Definitely one for the cinema I think.